What's the Difference Between Wage Garnishment and Bank Levy? When you fail to take care of your debt obligations, the businesses (or government entities) you owe may have force you to pay up. They may do this through a wage garnishment or a bank levy. Both of these methods allow a creditor to take money from you, but the methods are different. Wage garnishment happens when a creditor takes your earnings from your employer. The garnished amount is deducted from your paycheck and your employer sends it directly to the creditor. Because the wage garnishment is taken directly from your pay, it leaves you with less money to pay your bills with each month. Federal law limits the amount your wages can be garnished. A bank levy is when the creditor takes the money from your bank account, rather than from your employer. 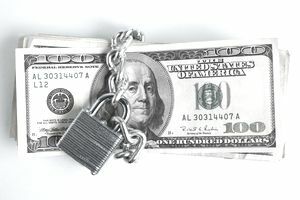 When a levy is issued, your bank account(s) are frozen and you can't access the money until the debt has been repaid. Unfortunately, when your bank account is levied, the creditor may be able to take all the funds from your account, with the exception of certain Federal benefits. You won't be able to withdraw money from the account and the bank won't process any other transactions made against your account. On top of that, checks you've written may be returned. The bank may charge you an insufficient funds fee and the merchant may charge an additional return payment fee. Can Any Company Garnish Wages or Levy Your Bank Account? A creditor can't just take money from you via wage garnishment or bank levy without first having court permission, except for tax debts and child support. Certain types of income, like Social Security benefits and received child support payments, cannot be garnished or levied, except to pay taxes or child support. In most cases, the creditor must have filed and won a lawsuit against you and obtained a judgment from the court. Then, if you've neglected to pay the judgment, the creditor can ask for court permission to garnish your wages or levy your bank account. The IRS and Department of Education do not need a court judgment to garnish your wages or levy your bank account for past due taxes or defaulted student loans. Before taking either action, you'll receive will send prior notice. You may be able to keep your wages from being garnished or your bank account from being levied by entering an installment agreement or settling your debt. Only a court order, full debt repayment, agreement with the creditor, or bankruptcy in some cases can stop wage garnishment or bank levy. If either a wage garnishment or bank levy occurs, contact an attorney quickly to find out your options. Are Your Wages Being Garnished for Child Support?